This image is Andy's Dock, showing the pilings from Randall's Dock on the left. Randall's Dock dates back to to the early 1900's, when it was the original Captiva ferry dock. In the 40's, 50's and 60's Andy's Rosse and his wife, Dessa, ran the dock and colorful waterfront saloon. 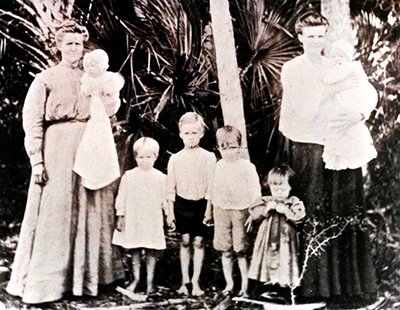 This is an image, circa early 1900s, of Hattie Brainard (left) with daughter-in-law Mae Brainard, and several island children that Hattie perhaps delivered. Hattie Brainard, who later married Alvin Gore, was the postmistress on Captiva for over 35 years. 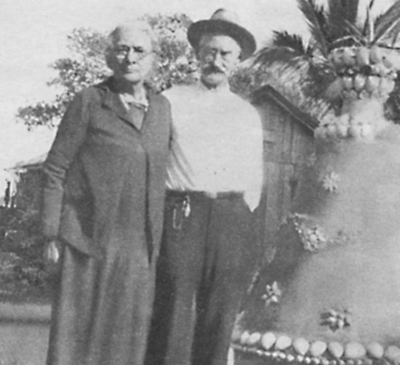 This photo is Herbert and Hattie Brainard by a shell fountain near the Gore Hotel on Captiva. The post office was located at the front of the hotel, and Hattie was the second postmistress on Captiva. This image is the Elias Knight Carter home on Captiva, location unknown. Elias Carter was a descendent of George Washington Carter, one of the first homesteaders on Captiva. 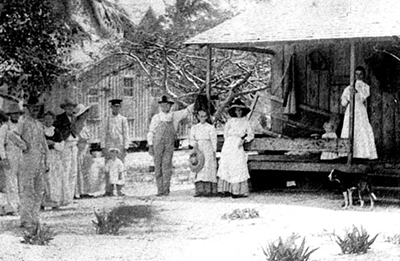 The Carters farmed land on the north end of Captiva from 1898 to the early 1900s, property that is now the site of South Seas Island Resort. 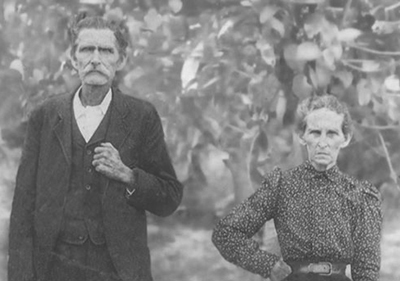 This is an image of George Washington Carter and Elizabeth Carter. He was a Civil War veteran from Georgia and one of the first homesteaders on Captiva. They had five children, and primarily fished for a living. In addition, they planted vegetables and a grapefruit grove on their 160 acres at the north end of Captiva. 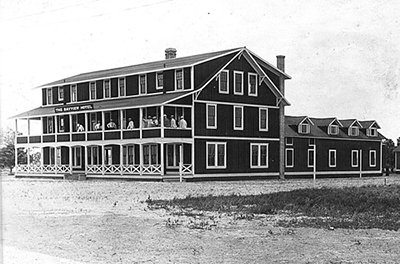 This photo features the Bayview Hotel, circa 1911, later named Fishermans Lodge, the Captiva Lodge, then Captiva Hotel, It was built by F.A. Lane in stages from 1911 to 1915. It burned down in 1948.